Best of both worlds- central location with country comforts! 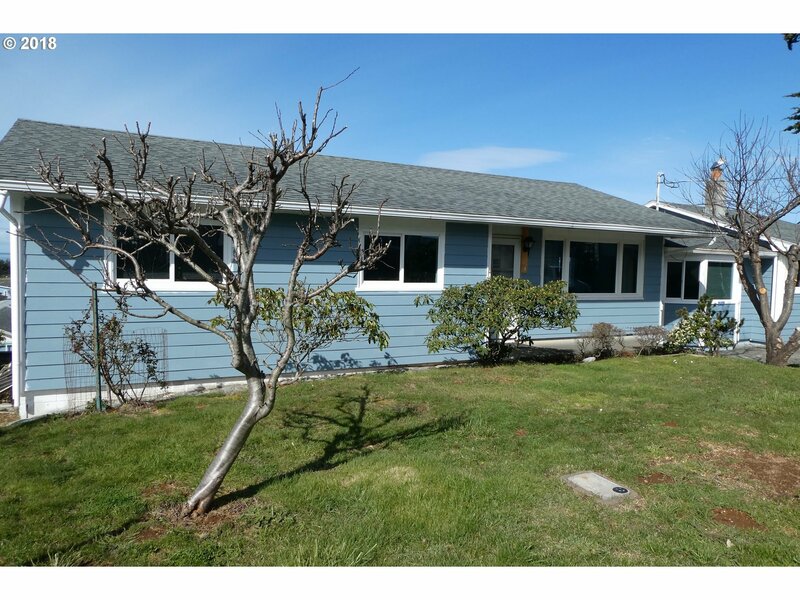 This 4BR/2BA single level ranch home has a super OCEANVIEW along with a workshop outfitted with 220V power; a detached garage with 10' door;greenhouse with sink and temperature control venting; lawn shed; firewood storage; raised garden beds and more. House has new flooring and Myrtlewood/Port Orford Cedar touches throughout.